Fashion and sport is not an impossible binomial as someone may argue. There were many celebrities like Rihanna and Kanye West who designed capsule collections for important sporty brands. Stella McCartney is one of them. In collaboration with Adidas, she has presented her S/S 2017 collection. No matter what is your passion if swimming or doing yoga , what you do to overcome your limitis if running down the streets or working out at the gym, Stella McCartney has designed garments suitable for each of you. Let’s discover together the new must have to be trendy even during the daily work out. First, let’s talk about the swimming collection. If your natural element is water, here we go! It is for sure what you need for your training. 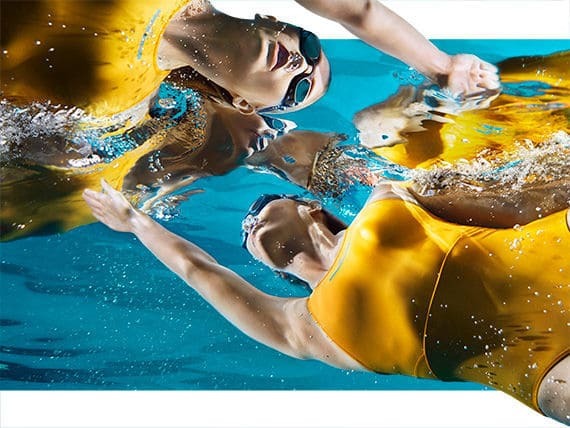 The two types of swimwear, one – piece and bikini, designed by Stella are made by specific technologies and materials which make them durable and chlorine-resistant. Stella McCartney’s suimsuits emphasize femininity using colors like white and pink, and floral design. The running collection, instead, is for who want to overcome their limits on street. The sneakers made by light and breathable fabrics ensure great performances on every kind of floor. 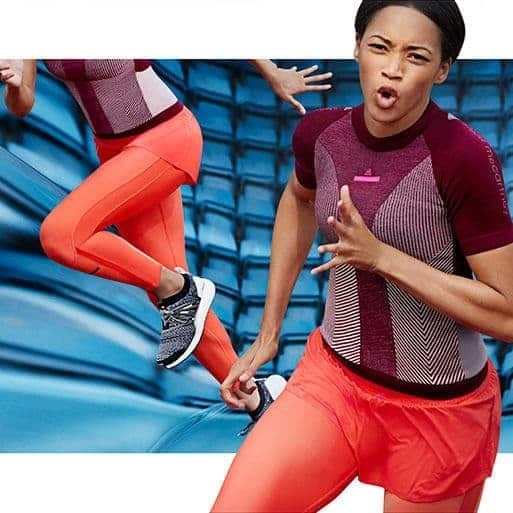 The tight and short run pants matched to colorful tops make the training more effective and comfortable. Stella McCartney has also created a collection dedicated to whom combine mental and spiritual training with physical activity. The unmistakable designer’s style is reflected in Yoga’s clothing. Shorts, trousers and accessories with minimal and comfortable design are perfect to attend the Yoga classes without giving style up. The collaboration between Adidas and Stella McCartney is the evidence that fashion and sport might coexist. Is it possible that something cozy can be also trendy? Of course, YES!